*Busts through door* BREAKING NEWS! Like, you've gotta hear this: Benedict Cumberbatch can't say "penguin." He just can't. It's out of his range of abilities somehow. And it's flipping adorable. Cumberbatch is a man with many talents, of course: He can do a mean Alan Rickman impression, he's a very versatile actor and Emmy-winner, he's Prince Of Tumblr. And he can't say the word "Penguin." But now, all I want in the world is to hear him voiceover March Of the Penguins 2. This amazing revelation came courtesy of BBC nature documentary series South Pacific — known as Wild Pacific in the US of A — narrated by Cumberbatch. And now that you mention it, yes, Cumberbatch should be narrating more things just as a general rule. And forced to say "penguins" either never or at every possible opportunity. 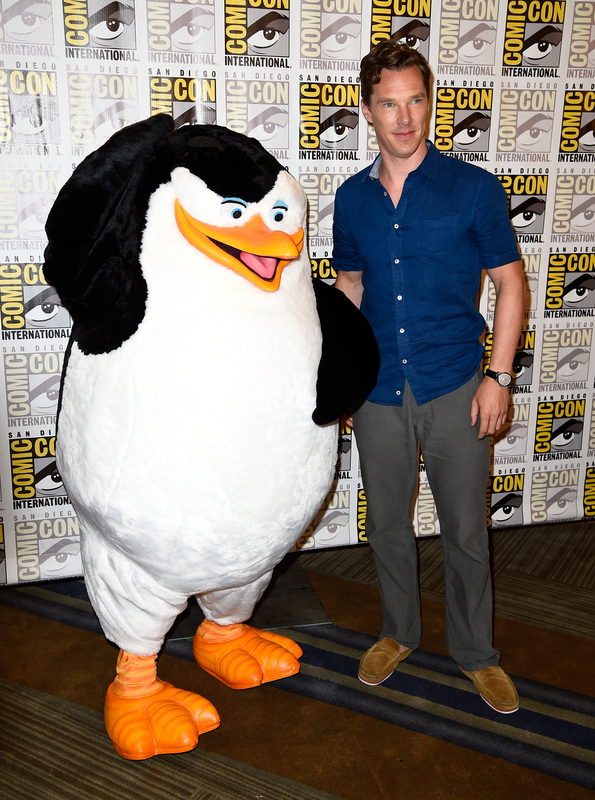 Because to Cumberbatch, they are not "penguins." To Cumberbatch, they at "pengwings." Sometimes "penglings." I didn't know until I witnessed this for myself that, though I may laugh every day, I haven't giggled in a while. So thanks for that, Cumberbatch. Thanks for that, pengwings. It should be noted that this video is the first thing I saw when I woke up this morning, and that that is how every day should start. Quick, Tumblr, someone draw us a pengwing! The Penguins Of Madagascar press tour is gonna so entertaining.